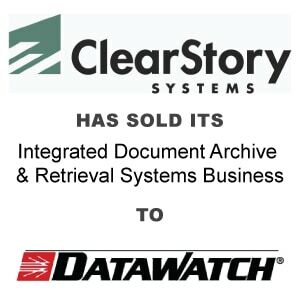 Berkery, Noyes & Co. advises ClearStory Systems on its divestiture of Document Solutions Business to Datawatch Corporation - Berkery, Noyes & Co., LLC. NEW YORK, May 3, 2006 — Berkery, Noyes & Co, LLC announced today that it advised ClearStory Systems, Inc. (OTC Bulletin Board: CSYS), an established provider of digital asset management (DAM) solutions, on the divestiture of its Integrated Document Archive and Retrieval Business to Datawatch Corporation (NASDAQ: DWCH), a leader in the rapidly growing Information Services market space. The transaction includes the Radiant Business Document Server (renamed Datawatch|BDS) and Radiant MailManager (renamed Datawatch|MailManager). The acquisition provides Datawatch customers with a best-of-breed solution that enables high volume capture, storage, management and delivery of documents, reports, transaction file logs, document images, and other forms of “fixed” content. Datawatch|BDS is able to capture print streams, desktop output, imaging files and voice. Its architecture is compatible with online, near line and offline storage and can handle billions of documents and terabytes of content. Datawatch|BDS is designed for online statements for high-volume environments, such as financial services or health insurance. Its presentment capability can handle tens of thousands of concurrent users and deliver content to both the desktop and the Internet user. Its e-mail notification feature supports e-statements and other e-billing initiatives. Datawatch|MailManager is a highly scalable e-mail active archiving solution that provides complete lifecycle, compliance, and storage management for the corporate e-mail knowledge base. 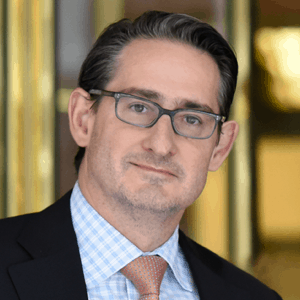 Berkery, Noyes & Co., LLC provides mergers & acquisitions advisory services and strategic research to emerging and established information and technology leaders. With its exclusive focus on the information, technology, software and services market, the firm provides sell-side and buy-side representation, strategic and financial counsel, and transaction management to public and private companies in the $50 million to $1 billion range. Based in New York City, Berkery, Noyes & Co. employs 36 investment banking professionals who serve an international client base.